Anthem is just around the corner. Flying around in Iron Man-esque Javelins, blasting monsters and upgrading gear? There’s no doubt this open world online multiplayer action role-playing game is going to be pretty hardware intensive, and that means you’re going to need a serious system to have the best Anthem experience. Luckily we’ve got you covered. 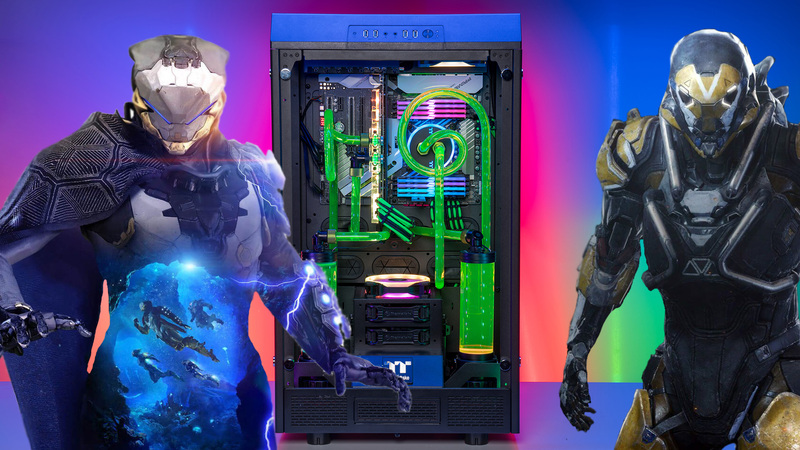 You’ve probably noticed we’re pretty big on PC around here, so we picked out some parts for the ultimate Anthem build, with considerations like the perfect case, CPU power, load times, and of course, the right GPU for the job. Javelins are the customizable exosuits that empower the Freelancers to explore the hostile environments of Anthem. There’s four Javelins with different abilities, each with their own distinct look and skill set. Let’s kick things off with the biggest of the four. As you can probably guess by the name, the Colossus is the heaviest hitter, and acts as the defensive tank. 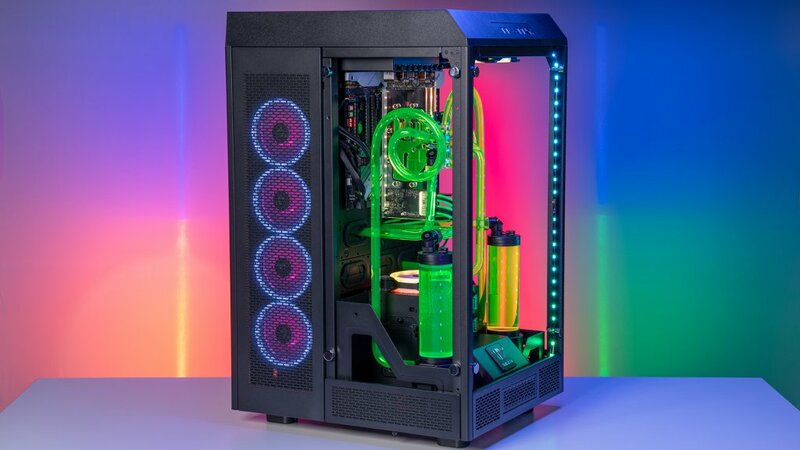 The Thermaltake Tower 900 is a perfectly colossal case, perfect for custom cooling loops and showing off your favorite hardware. This is the perfect chassis for people who want to make a bold statement, and want to be able to easily access and upgrade their hardware. It’s also perfect for vertical mounting hardware, expansion, and customization. There’s a ton of room in there for all the reservoirs and cooling solutions you want, so if you’re into customizing your thermals, the Tower 900 is right up your alley. 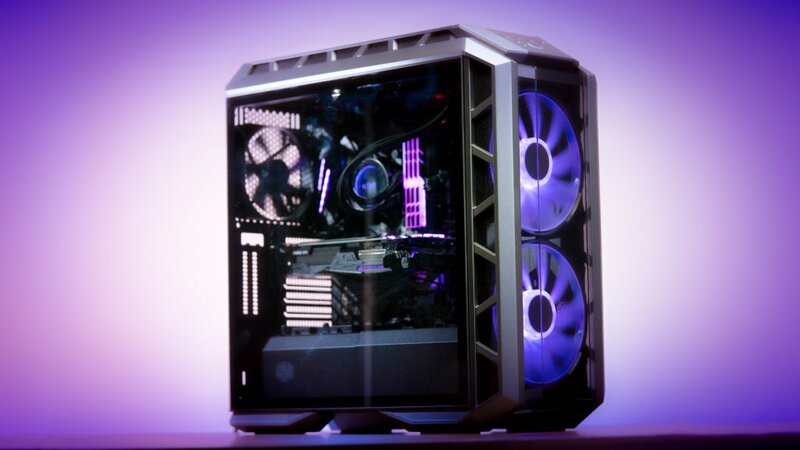 If you’re trying to make a colossal statement, you can’t go wrong with this case from Thermaltake. Storm is essentially the techno-mage of the group, flying through the diverse biomes and blasting the hell out of enemies with the power of the elements. To celebrate Storm’s varied abilities, we wanted to show off with some serious RGB. The Cooler Master MasterCase H500M has two enormous 200m fans preinstalled on the front, and this case has plenty of room for more. Not only do the fans help keep temperatures down, they also allow you to summon up your own color storm with the integrated ARGB controller. There’s plenty of stylish glass so you can show off your internal components, and shrouds and covers so you can decide what you want to show off, and what you want to keep hidden. The Interceptor is the nimblest Javelin, with double-bladed daggers perfect for eviscerating the hostile monsters of the world. It’s also the smallest of the suits, but still immensely powerful, so we did some digging to find the perfect Interceptor case. 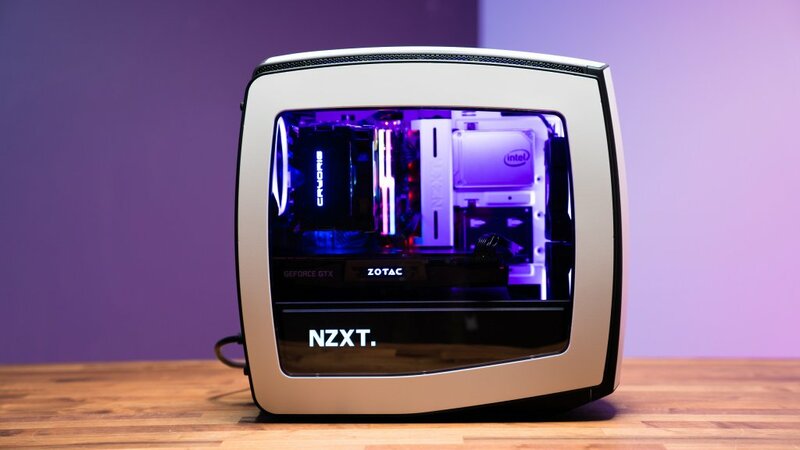 The NZXT Manta is a killer mini-ITX case that definitely fits the bill. It’s small but fierce, just like the Interceptor, and despite its size, has room for some seriously powerful components. Unlike many mini ITX cases, the Manta doesn’t limit your power supply options, and it’s got cable management options aplenty. You will, however, need to use a smaller motherboard for this mini ITX case. 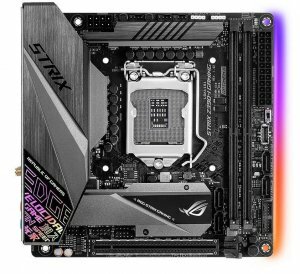 When it comes to ITX boards, the ASUS ROG Strix Z390-I is one of our favorites. It doesn’t compromise on features despite its small size, and has plenty of storage options alongside all the high-end connectivity options. The NZXT Manta also has lots of room for cooling, with space for three radiators (two x 280mm and one X 120mm) in addition to fans. It’s a surprisingly capable little case, and just like the Interceptor, you’re not sacrificing power despite the smaller size. Last up is the Ranger, the middle of the road, jack-of-all-trades Javelin, and the first you’ll use as you’re introduced to the world of Anthem. It’s the most well rounded of the bunch, so we went with a case that’s good for a little bit of everything. 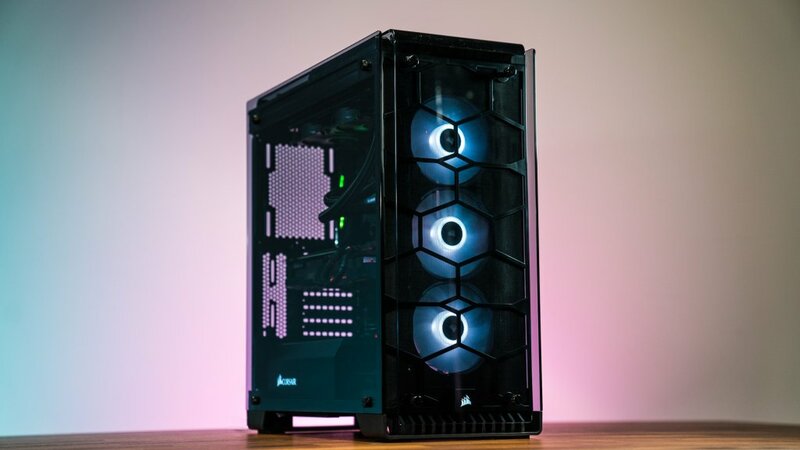 The Corsair Crystal 570X is a great all around case, with premium features like three SP120 RGB fans with a built-in LED controller so you can change colors with the press of a button. It’s also got a ton of cooling options so you can customize your own thermal solution, with room for six fans, and 360mm, 280mm, and 120mm radiators. It’s a very versatile case at a great price point, and like the Ranger, it will have no trouble getting the job done. The CPU is one of the most important components in any build, and you’ll want to make absolutely sure the motherboard it lives in has all the features you need. 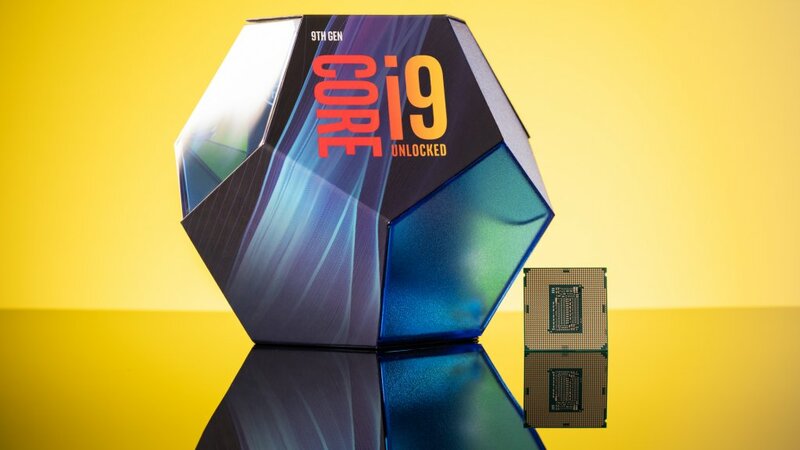 The Intel i9-9900K is the ultimate gaming CPU, and should provide all the processing power you’ll need for years to come. It’s designed for overclocking as well, so you can coax even higher clock speeds if you don’t mind pushing a little more power through your system. Anthem is a relatively CPU intensive game, with huge draw distances and complex physics that require lots of calculations per second. The heavy lifting when it comes to visuals will of course be done by the GPU, but having a good CPU is critical, not just for gaming, but for overall system health. The 9900K is pretty close to top of the line when it comes to consumer facing gaming processors, but if you take the plunge now, it means you won’t need to upgrade again for years to come, and it will be more than capable of handling any game or application you throw at it. If you’re going with a high end CPU like the 9900K, you’re going to want a nice motherboard to match. 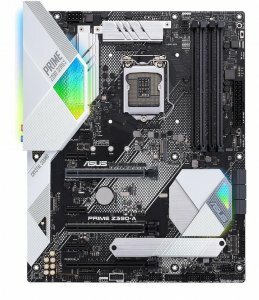 The ASUS Prime Z390-A is a perfect choice. Not only does it have just about every bell and whistle you should expect from a modern motherboard like high-end audio and connectivity options, but it’s also competitively priced. It will work in just about any build as well from a visual perspective, as the white accents provide a neutral color scheme along with some lovely RGB accents. There’s a ton of options when it comes to keeping your CPUs temperatures down, but if you’re going with an overclockable processor, an all-in-one liquid cooler is probably the way to go. You’ll get the benefits of liquid cooling with none of the difficulty of custom cooling loops. We’re fans of the Enermax Liqfusion 240mm liquid cooler, with beautiful RGB effects on the cooling plate and the fans on the radiator. Installation is surprisingly easy, and the popular flow indicator looks all around awesome. We’re focusing on RGB with this build, as Anthem is looking to be a very colorful title. RGB is all about customization, getting exactly the look you want, and of course, you can always turn it all off if you want to go more minimal. 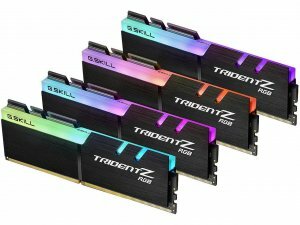 But having color options is great, and that’s why we went with 32GB of G.SKILL TridentZ RGB RAM. 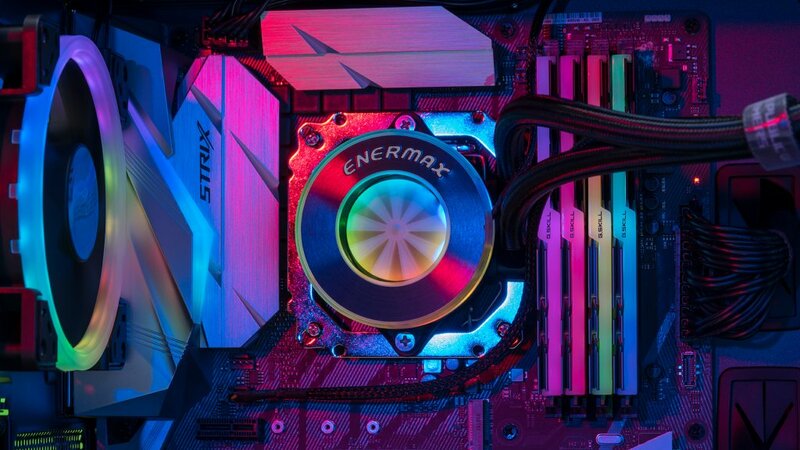 Not only is this high performance memory, it has some truly phenomenal lighting options that are great for pairing up with a game like Anthem. Anthem is a big game, with a ton of areas to explore, and that means there’s going to be demanding on your storage. Those that have played Anthem have mentioned load times, and one way to address this issue is with high-performance solid state drives. Having a good storage solution means less time worrying about read/write speeds, and more time gaming. 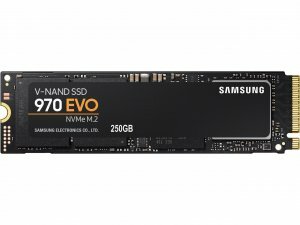 The Samsung 970 EVO is a great choice for a few reasons. It’s available up to 2TB capacity depending on your storage needs. It’s extremely fast, and priced nicely, at less than $85 for 250GB. This is plenty of space for your OS and Anthem along with some other games, and once you’ve gotten used to those NVMe speeds, it’s hard to go back. NVMe is where it’s at, but SATA is fine as a backup, and it’s always good to have a big hard drive to store media files and games. There’s a lot of options, but we recommend the Seagate BarraCuda HDD. It’s available in quite a few capacities, three or four terabytes is a good amount of space, and you’ll have the choice between 5400 and 7200 RPM speeds. To power this fancy new Anthem build, we’re looking at the modular Seasonic Focus SGX-650. 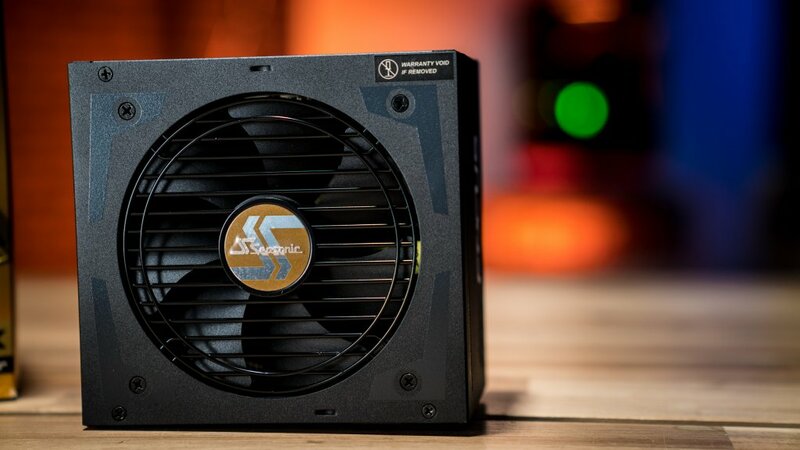 This 650 watt power supply should provide more than enough juice, and with a 80 Plus Gold Certified rating, you know you’re looking at a reliable power supply that will last for awhile. It’s good to go fully modular when you can, it allows your build to be much cleaner because you’re only using the cables you need. Probably the most important feature of any gaming build is the GPU. This is the chip that handles the vast majority of the graphics, and in a game that looks as good as Anthem, it’s going to be working plenty hard. You’ve probably heard of Nvidia’s new RTX GPUs. 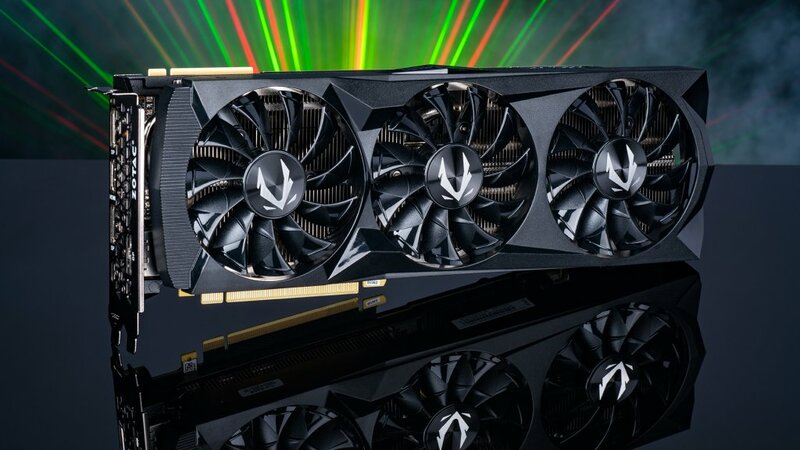 These are the latest and greatest gaming cards from Team Green (Nvidia), and have some exciting features like deep learning systems and faster processing than ever before. In the interest of future proofing your system, we’re recommending the Zotac Gaming GeForce RTX 2080 AMP. This GPU has a boost Clock 1830 MHz, and three fans designed to keep the chip cool even when you’re pushing serious frames. You’re not going to need to upgrade this card for a long time, and it will be able to handle AAA titles for years to come, not to mention cool new tech like Ray Tracing that you’ll be seeing more of in 2019. And, to sweeten the deal, if you pick up this card right now, you can get a copy of Anthem for free! That makes things easy. As long as you have a solid GPU and CPU, Anthem should run fine, but with the setup we’ve outlined here, you’re looking at a premium Anthem experience, even at higher resolutions and refresh rates. Good luck out there Freelancers! Read more about Anthem on Newegg’s GameCrate.